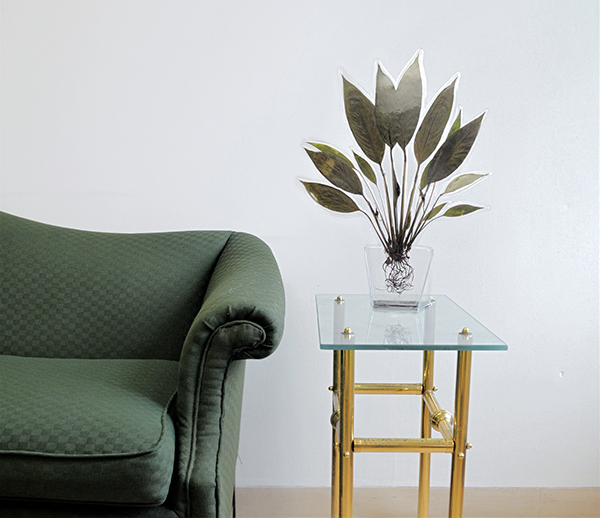 An exploration of house plants as furniture objects and props of nature. 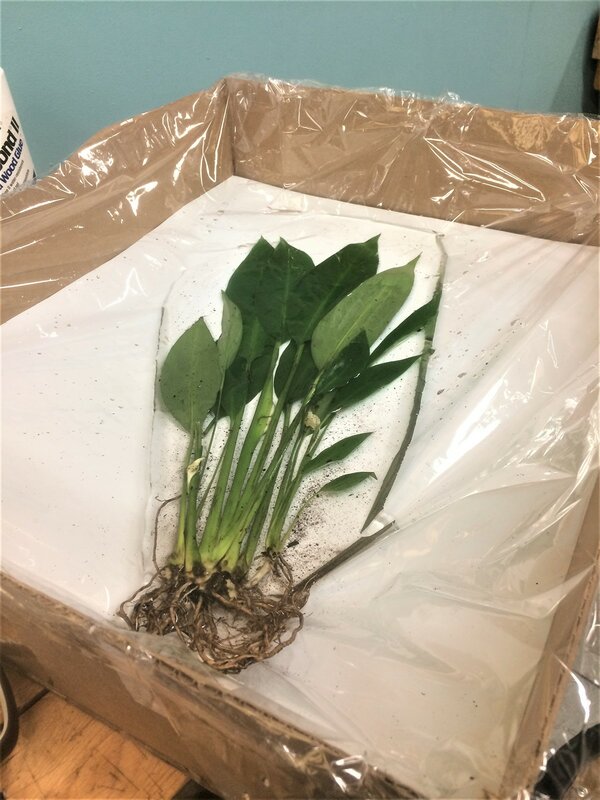 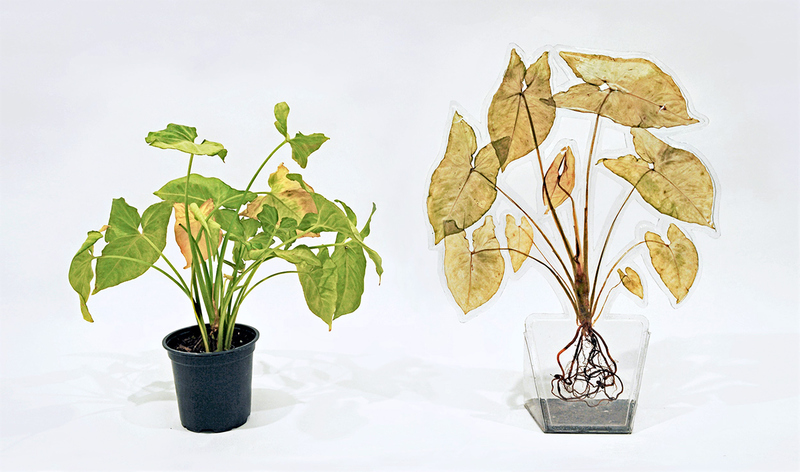 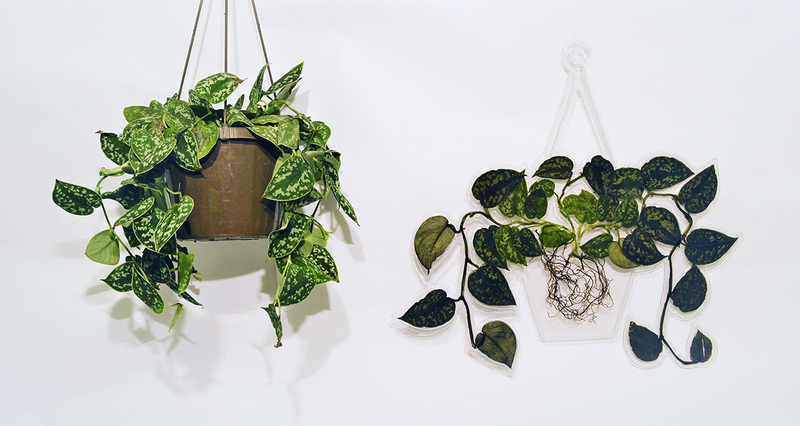 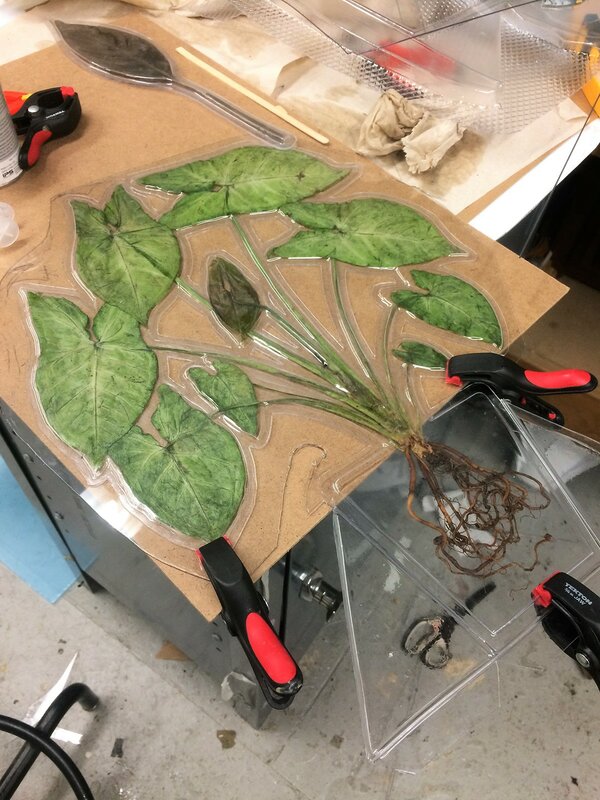 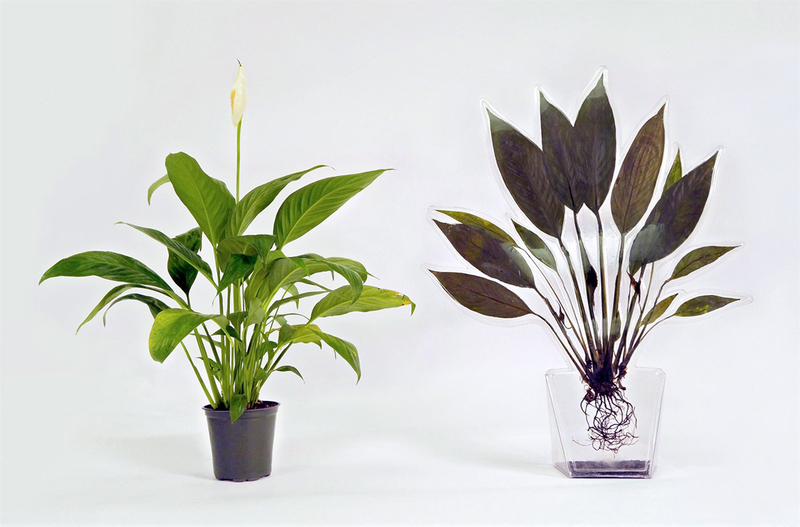 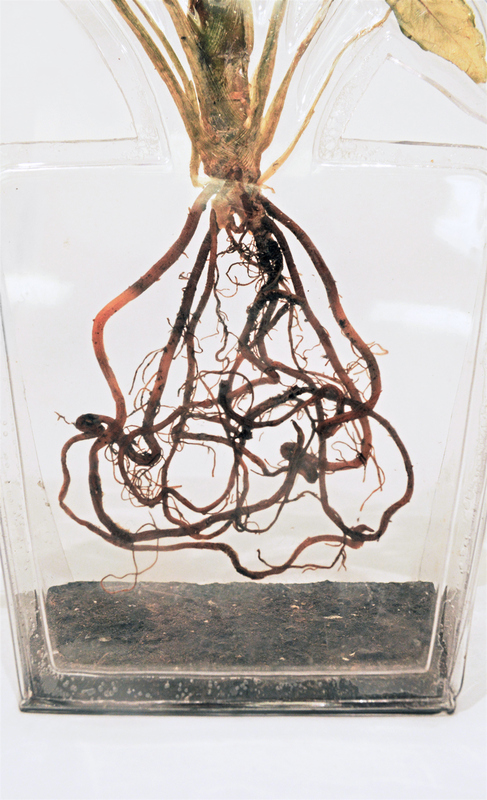 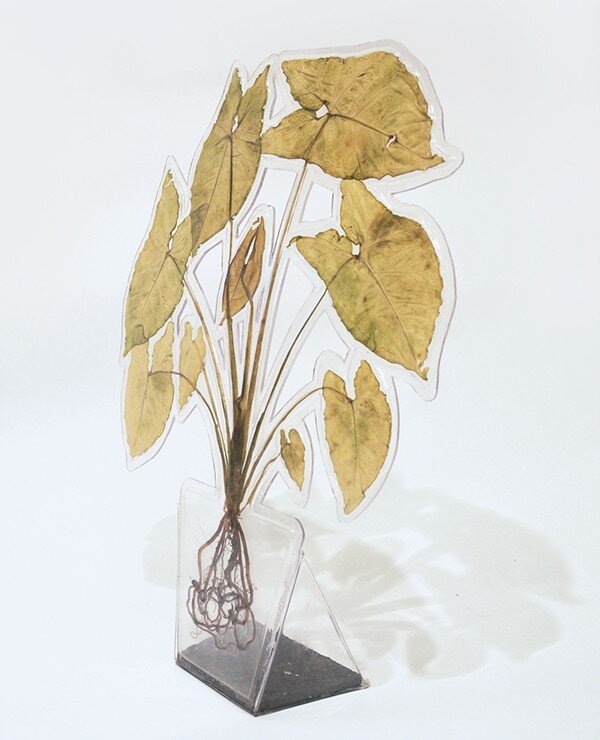 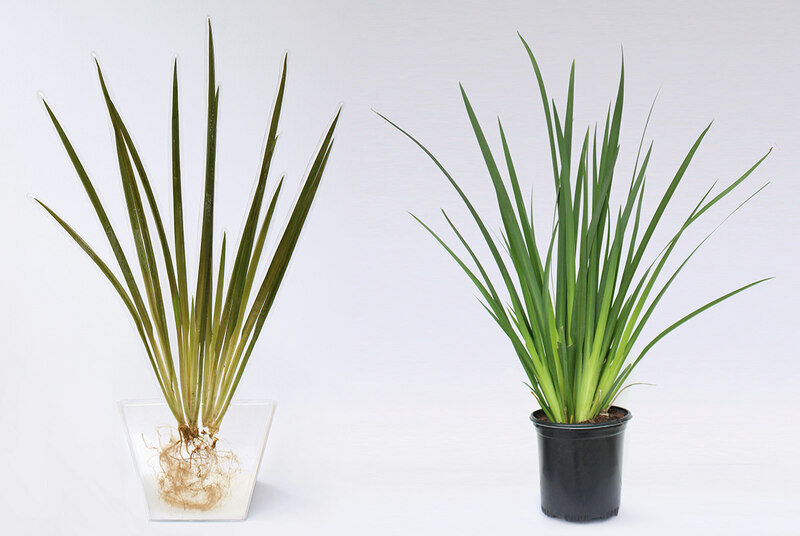 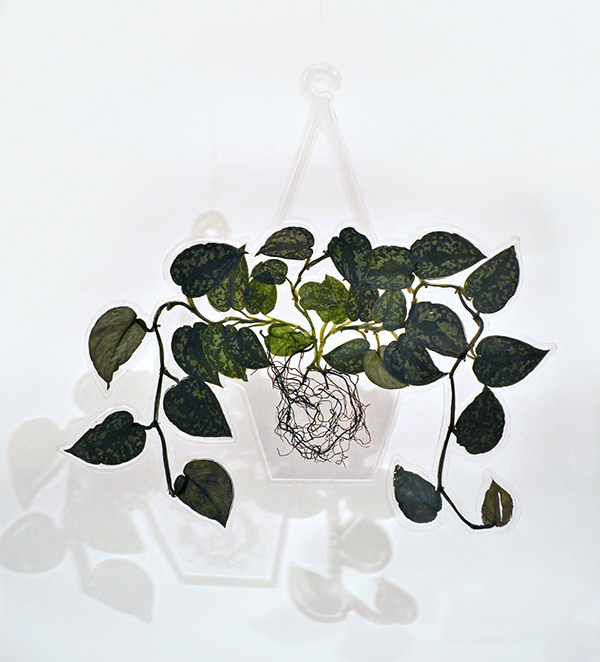 A series of house plants are flattened and trapped between plastic molds of themselves, suspended above a base of soil. 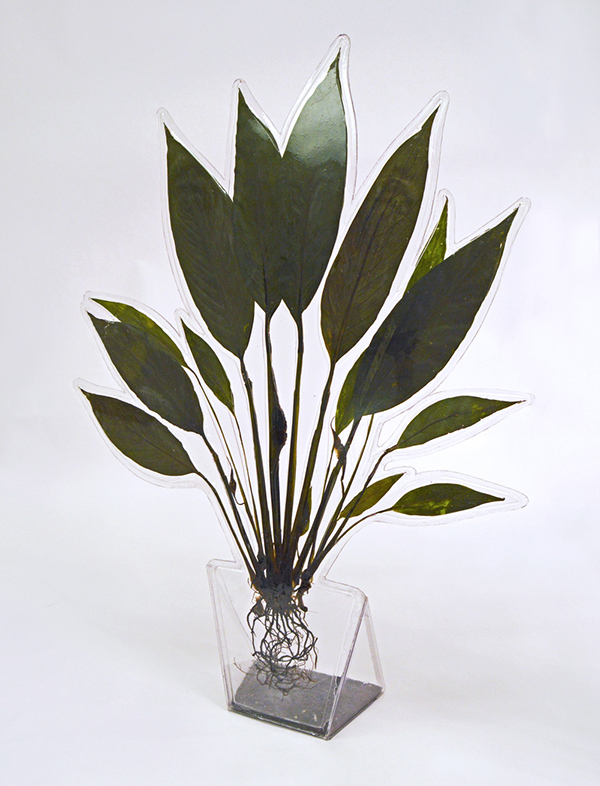 The plastic is vacuum-formed, welded together and airtight. 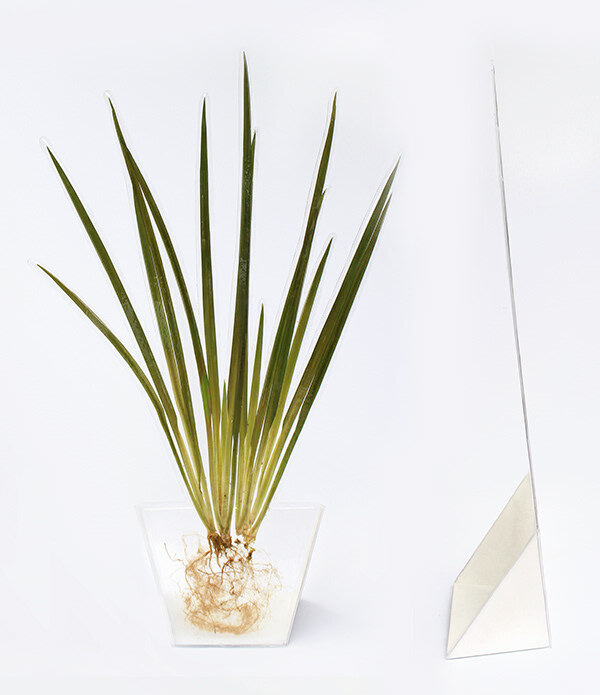 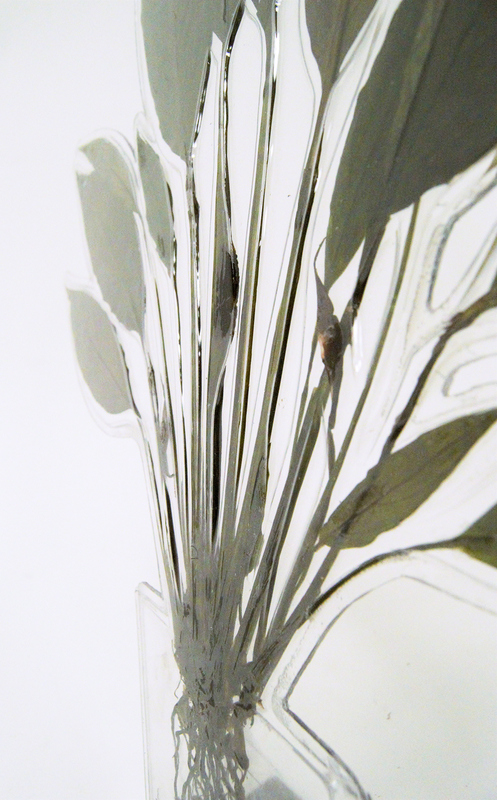 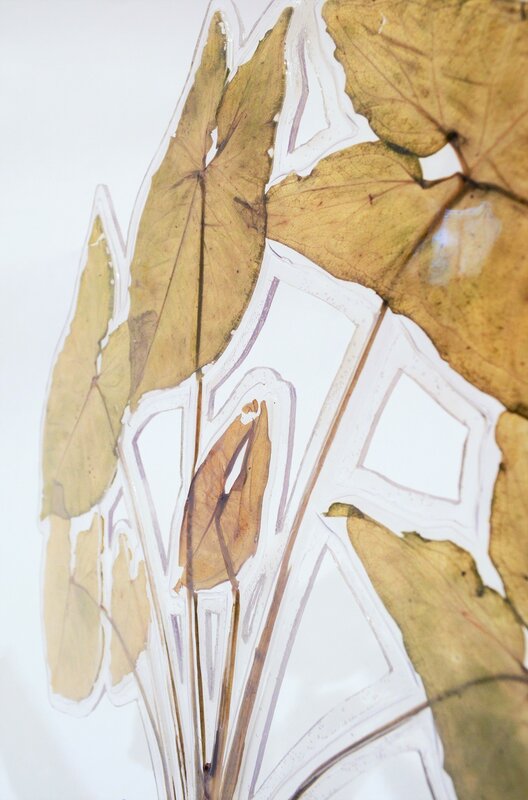 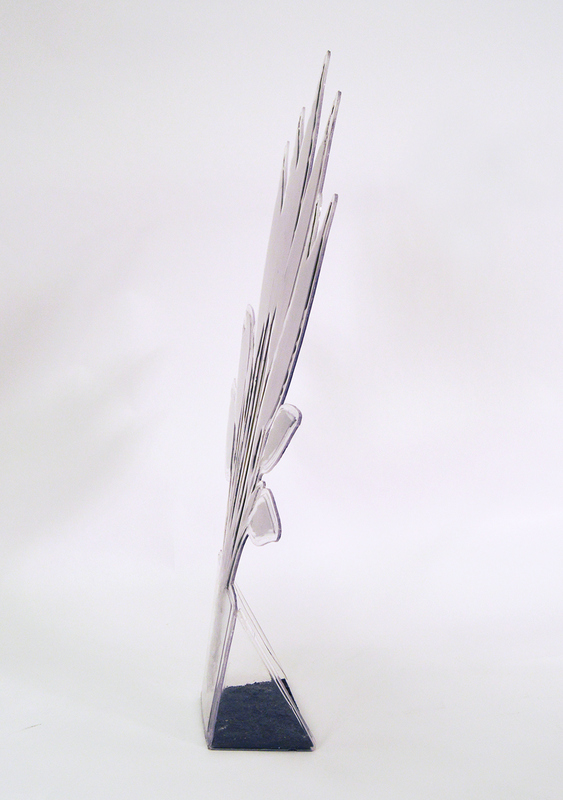 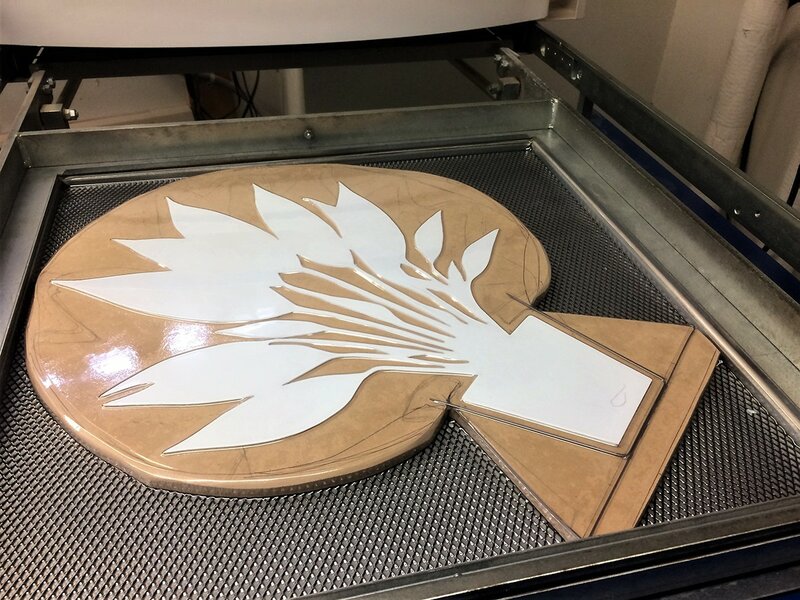 The result both exposes the plant and forces it into the role of an aesthetic object.